in an attack by an Afghan pilot at Kabul Airport. U.S. amateur James McLaughlin, WA2EWE/T6AF, was among the nine Americans killed in a shooting at Kabul airport Wednesday when an Afghan military pilot opened fire in an operations room of the Afghan Air Corps, according to Voice of America reporter and fellow amateur Steve Herman, W7VOA/T6AD. According to Herman, the attack was the worst single episode of an Afghan turning against his coalition partners. Writing from Seoul, where he is chief of the VOA bureau, Herman said McLaughlin, who was also a friend of his, was a career U.S. military officer working as a contractor training Afghan pilots. Herman says he first met Jim in August, 2009, when they were the only two hams operating in Kabul. "Jim had put together a fine radio shack in his quarters," Steve wrote, adding, "It was obvious from spending time with Jim that ham radio was an important morale-boosting pastime and (he) usually spent a couple of hours per day (on the air), logging thousands of QSOs." The non-partisan Congressional Budget Office projects that conducting the studies mandated by S.191, the Amateur Radio Emergency Communications Enhancement Act of 2011, would cost taxpayers approximately $1 million in 2012, if passed and signed into law. The bill, which is being heavily promoted by the ARRL, would direct the Department of Homeland Security to study the uses and capabilities of the Amateur Radio Service during and after a disaster or emergency, and would require the department's Inspector General to additionally report on the cost of grant programs administered by the Federal Emergency Management Agency and the extent to which these programs overlap with each other. The CBO analysis was requested by the Senate Homeland Security and Governmental Affairs Committee. Some of our readers may recall when the cost of mailing a postcard was just one penny. 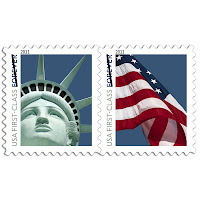 Well, as of April 17, it costs one penny more to mail a postcard. 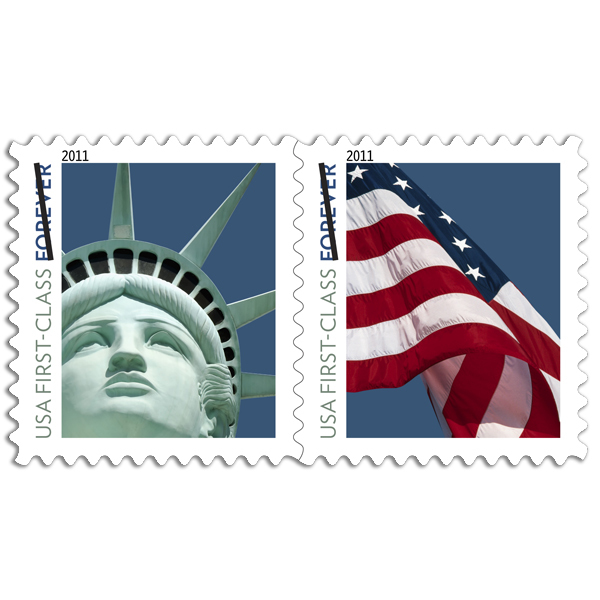 While rates on first-class letters did not change, the postcard rate increased from 28 cents to 29. Obviously, this affects any hams mailing QSL cards directly within the U.S. If you work any stations in the United Kingdom with GR, MR or 2R prefixes during late April or early May, then you'll be part of the celebration of the wedding of Prince William and Catherine Middleton. The special callsign prefixes were authorized by the British government, at the request of the Radio Society of Great Britain, to be used between April 29, the date of the royal wedding, and May 9. William is second in line to the British throne, after his father, Prince Charles. The FCC has opened access to its new "Beta" website, the first major overhaul of the agency's website in a decade. Once you get past all the buzzwords in the announcement about it ("architected with a more intuitive user experience … the reimagined FCC.gov is proof that … dot-govs can look, feel and run like dot-coms. "), you'll find some interesting features, including blogs by Commission staffers and a very cool "spectrum dashboard" that lets you search for the allocations of various services or "browse" by frequency. Unfortunately, the architects of the new site appear to believe the radio spectrum begins at 225 MHz and we haven't been able to figure out how to search for amateur allocations, even though they're listed on the chart. Check it out yourself at <http://beta.fcc.gov/>. Four prominent hams became Silent Keys in late March and early April. On March 27, Paul Baran, W3KAS, died from complications of lung cancer, according to the ARRL Letter. Baran was one of the fathers of the internet and of packet radio. He came up with the idea of packet switching, in which data to be transmitted is broken up into small packages, sent over sometimes varying routes and reassembled at its destination. The following day, the ARRL Letter reports, Mike Koss, W9SU, owner of Industrial Communications Engineers (ICE), passed away suddenly, after collapsing on his workshop floor. ICE, well-known among hams as a manufacturer of line filters, surge protectors and more, temporarily suspended taking new orders while it reorganized the business in light of Koss's passing. Grammy-winning recording engineer Roger Nichols, KE4BDA, became a Silent Key on April 9, after a battle with pancreatic cancer. According to the ARRL Letter, Nichols was 66. He was best known for his work with Steely Dan and was honored with three Grammy awards. Finally, on April 13, just a few weeks after celebrating his 100th birthday, ham radio legend Leo Meyerson, W0GFQ (ex-W9GFQ), also became a Silent Key. Meyerson founded and ran World Radio Laboratories in Council Bluffs, Iowa, producing the "Globe" line of transmitters that were very popular among hams in the mid-20th century. 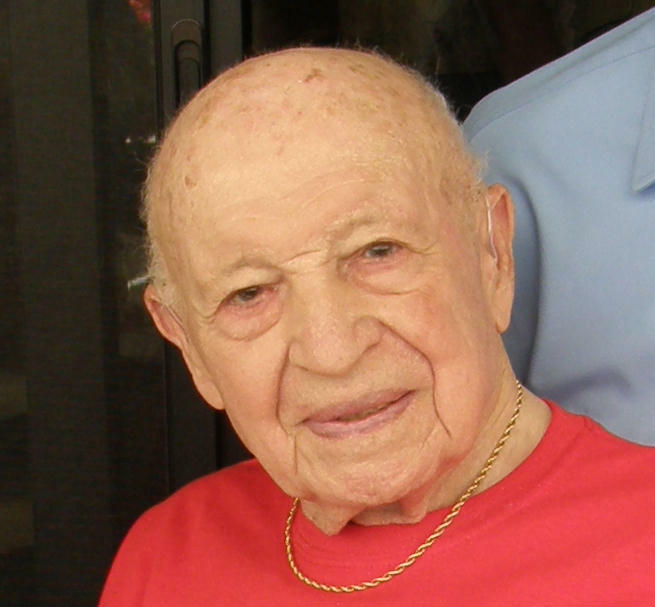 CQ columnist Joe Eisenberg, K0NEB, was a family friend of Meyerson's. He will share some reflections on the man who was also his personal ham radio mentor in his July "Kit-Building" column. 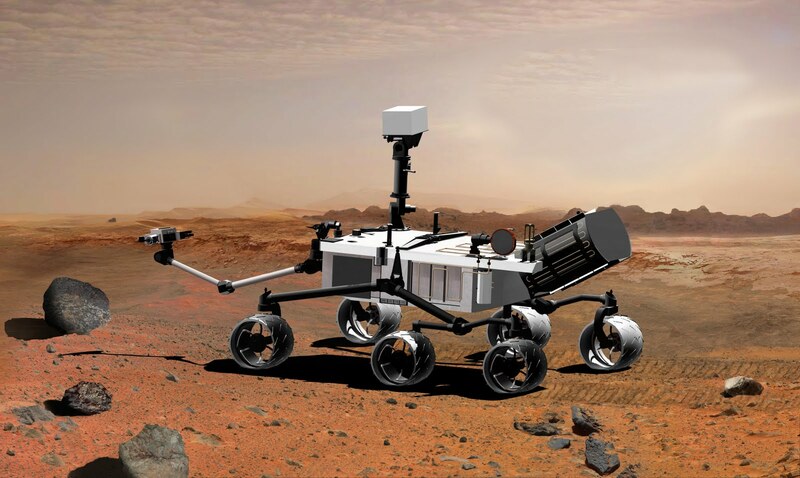 Artist's conception of Rover "Curiosity" on Mars. 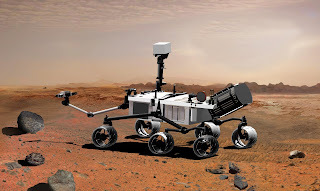 The next Mars rover now being built - named Curiosity - will apparently be taking Morse code with it to the red planet when it is launched this fall. The ARRL Letter reports that The Planetary Society's Science and Technology Coordinator, Emily Lakdawalla, reported on her blog that the pattern created by the rover's six wheels "are in a pattern of short squares and longer rectangles -- almost like dots and dashes. Morse code." The patterns reportedly spell out "JPL." The official function of these patterns is as "visual odometry markers," which help observers visually determine how far the rover has traveled. Curiosity is scheduled for launch between November 25 and December 18 of this year, and for arrival on Mars sometime next August. The amateur radio space program has reached another milestone with the issuance of OSCAR (Orbiting Satellites Carrying Amateur Radio) numbers to the two FASTRAC satellites launched recently by the University of Texas. According to Newsline, the two satellites were designated, respectively, as FASTRAC OSCAR-69 (FO-69) and FASTRAC OSCAR-70 (FO-70). This brings to 70 the number of amateur radio satellites that have been successfully built, orbited and placed in operation by AMSAT North America, its predecessor, Project OSCAR and other AMSAT groups around the world. The numbers do not include Russian-built ham satellites, which had their own RS-series of satellite numbers. The members of AMSAT-France have decided to disband. Newsline reports that on April 11, twenty-one of the organization's leaders met in an Extraordinary General Assembly and voted, 11-10, to disband. No reason was given for the action. In other ham radio news from France, efforts continue to secure a 6-meter allocation for French amateurs and to legalize several digital modes that are not currently permitted. As many as 70 U.S. radio clubs could possibly end up with free D-Star repeater systems from ICOM America under the terms of a short-term promotion announced by the company. The basic deal is that ICOM is offering clubs a discounted package deal on an ID-RP2C repeater controller, matching 2-meter or 70-centimeter RF module and gateway software. The package is $3,000 if purchased directly from ICOM America between April 25 and May 9, 2011. Part two of the offer is that the first 70 clubs that meet a very specific set of criteria within 90 days of the purchase date would qualify for a full refund of the $3,000 purchase price. For specific details, qualifying criteria and limitations, see <http://www.icomamerica.com/en/dstarpromo>. A 77-year-old sailor and his dog were rescued by the U.S. Coast Guard after being stranded at sea, with help from ham radio operators of the Maritime Mobile Service Net. On March 21, net member Rex Weinheimer, KC5AGO, picked up a weak distress call on 14.300 MHz from a disabled sailing vessel. Weinheimer told ABC News that conditions were very poor and it was nearly impossible to get information clearly. With the help of several other net members, the group was able to piece together the boat's location and condition The U.S. Coast Guard was notified and the man and his dog were eventually rescued by a Coast Guard helicopter. The name of the sailor was not released. Bill Smith's day job is Assistant Athletic Director for New Media at the University of Arkansas, blogging, tweeting and otherwise engaging with fans of the Razorbacks' 19 different teams and the department itself. But in April, when his professional association, the College Sports Information Directors of America, honored Bill - who is also K1ARK - with its Bob Kenworthy Community Service Award, it was for his work with the Washington County Emergency Management Department and as a Skywarn storm spotter. According to the ARRL Letter, Smith has volunteered with the agency for more than ten years and also serves as its Public Information Officer. He will be presented with the award at CoSIDA's annual convention this month. You're invited to check out the May 2011 edition of WorldRadio Online magazine. It's posted free on the Web and is full of great news and features. For example, our cover story recounts the tale of Carl Mosley's trip to California in the 1950s to demonstrate his "new" TA-33 beam - and what happened to that antenna. 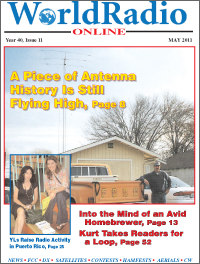 The headline gives a hint: "A Piece of Antenna History is Still Flying High." For the whole story and lots more, visit: < http://www.WorldRadiomagazine.com >. Leo Meyerson, WØGFQ, in 2010. Just a few weeks after celebrating his 100th birthday, ham radio legend Leo Meyerson, WØGFQ (and previously W9GFQ), has passed away. The announcement was made by Quarter Century Wireless Association (QCWA) President Bob Roske, NØUF, on the organization's website. "It is with a profound sense of loss," Roske wrote, "that I report Leo Meyerson, WØGFQ, became a Silent Key last evening 4/13/2011 at 9:50 p.m. in the Eisenhower Hospital, Rancho Mirage, CA." Meyerson owned and operated World Radio Laboratories in Council Bluffs, Iowa, which built the "Globe" line of amateur radio transmitters in the mid-20th century. Better known models included the Globe Scout, Globe Champion and Globe King lines. A brief profile of Meyerson in honor of his 100th birthday appears in the March issue of CQ magazine. The AMSAT News Service is reporting that the planned operation of the ARISSat-1 satellite from inside the International Space Station on April 12-13 was unsuccessful. The satellite was supposed to be turned on as part of the commemoration of the 50th anniversary of the first manned space flight by Cosmonaut Yuri Gagarin on April 12, 1961. According to ANS, no stations on the ground reported hearing transmissions from the satellite -- which is awaiting a hand-launch during a spacewalk this summer -- nor of any retransmissions of the satellite's downlink which had been planned on the space station's 70-centimeter ham station used for Amateur Radio on the International Space Station (ARISS) contacts. There's no word as yet as to what may have gone wrong. The ARISSat-1 satellite was supposed to have been turned on from inside the International Space Station at 0600 UTC today (April 12), according to AMSAT, and should be in operation until at least 1030 UTC tomorrow (April 13). As of this time, however, there is no confirmation that the satellite has been activated. The activation was scheduled to mark the 50th anniversary -- today -- of the first manned space flight on April 12, 1961, by Cosmonaut Yuri Gagarin. ARISSat-1 is currently aboard the International Space Station awaiting a hand-launch in the summer. According to the ARISSat-1 website, once the satellite is activated, "the 145.950 MHz FM downlink will transmit messages (in) a continuous sequence, one of which is the Gagarin-to-ground station conversation, famous "Poyekhali" (Let's Go!) from Yuri Gagarin from Earth orbit. This downlink frequency will also transmit spoken telemetry, SSTV images, and pre-recorded messages of goodwill." The Contest Calendar in the April issue of CQ incorrectly listed the dates for this year's Florida QSO Party as April 23-24. While the contest is normally held on the 4th full weekend in April, this year the sponsors chose to move it a week later -- April 30-May 1 -- in order to avoid a conflict with Easter. So the 2011 Florida QSO Party will be on April 30-May 1. Complete rules are on the FQP website at <http://www.floridaqsoparty.org/>.